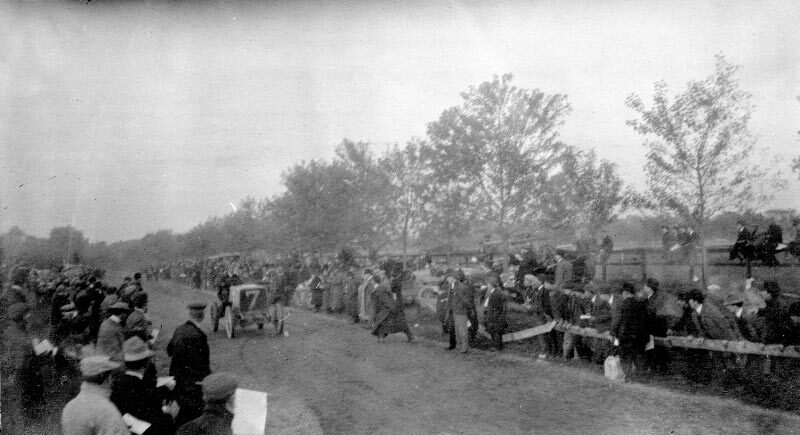 On Friday, October 7, 1904, the day before the first Vanderbilt Cup Race, 60 superintendents and engineers of the Association of Licensed Automobile Manufacturers (A.L.A.M.) gathered for a 65-mile "meet" covering Manhattan, Bronx and Westchester. 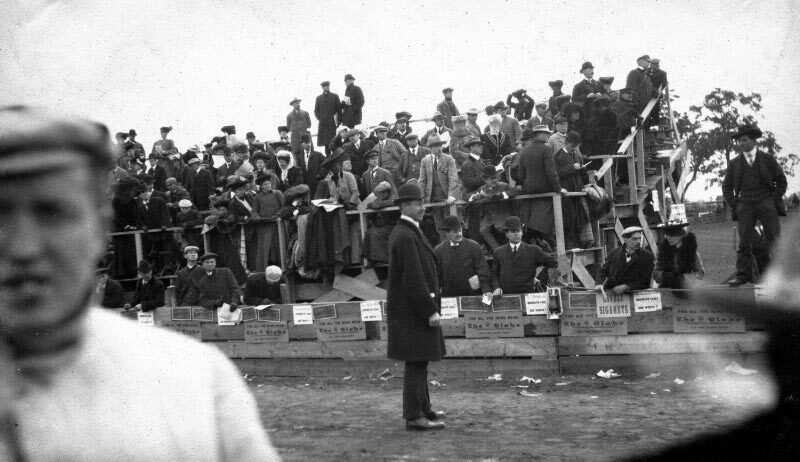 On the next day, many of the participants ventured to Long Island to see the first Vanderbilt Cup Race. 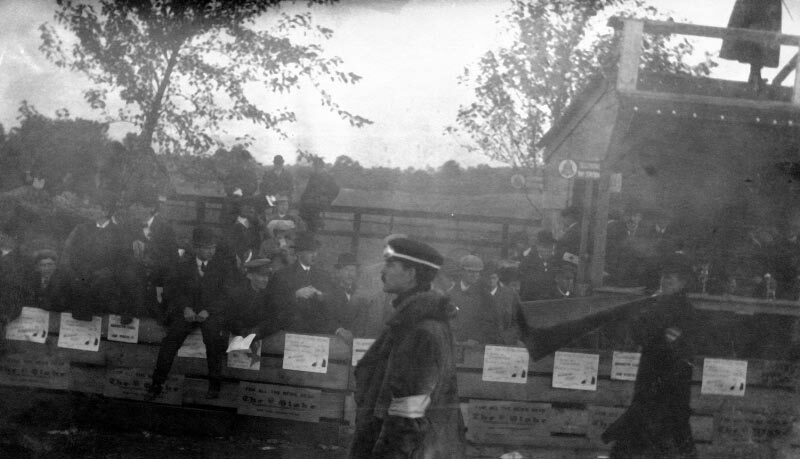 One A.L.A.M. 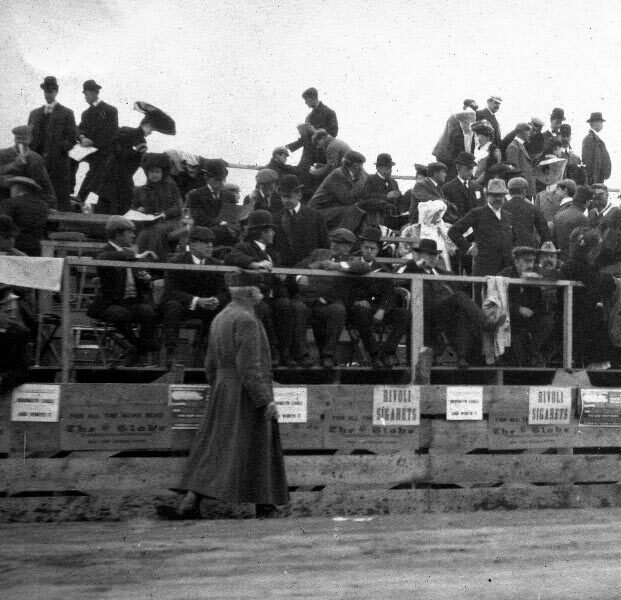 member documented the 1904 Vanderbilt Cup Race near the Westbury grandstands as seen below. 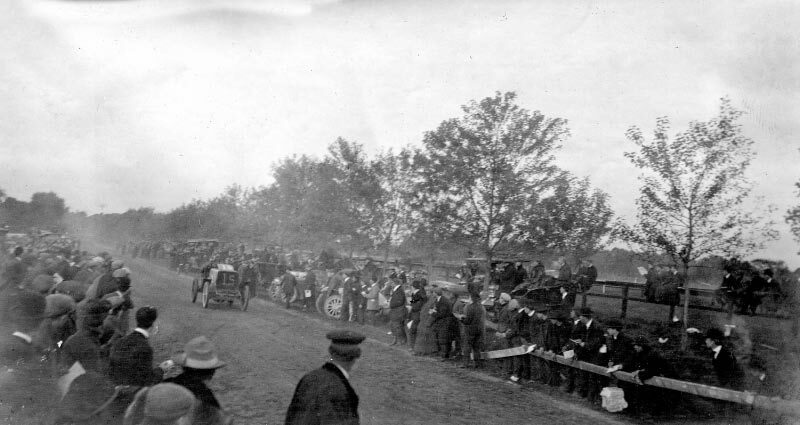 The #2 De Dietrich driven by Fernand Gabriel heading down Jericho Turnpike toweards the hamlet of Jericho. 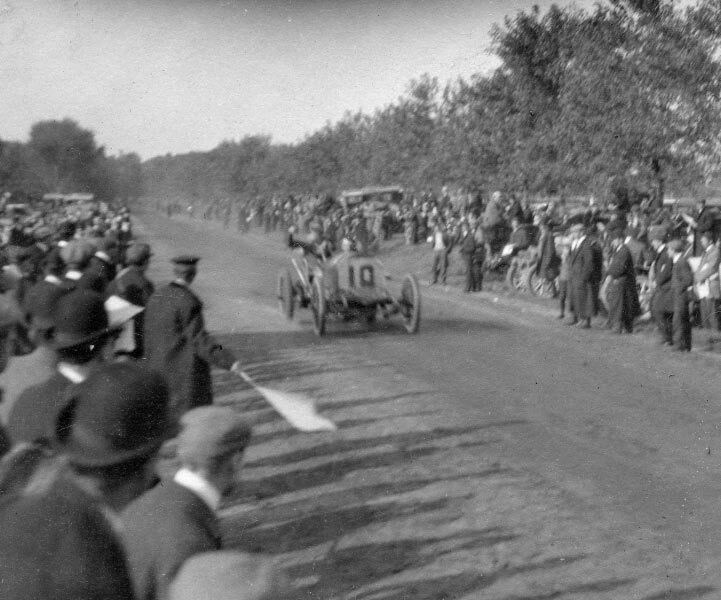 George Heath in his French #7 Panhard can be seen waving to the crowd after completing the initial lap of the 1904 Vanderbilt Cup Race. 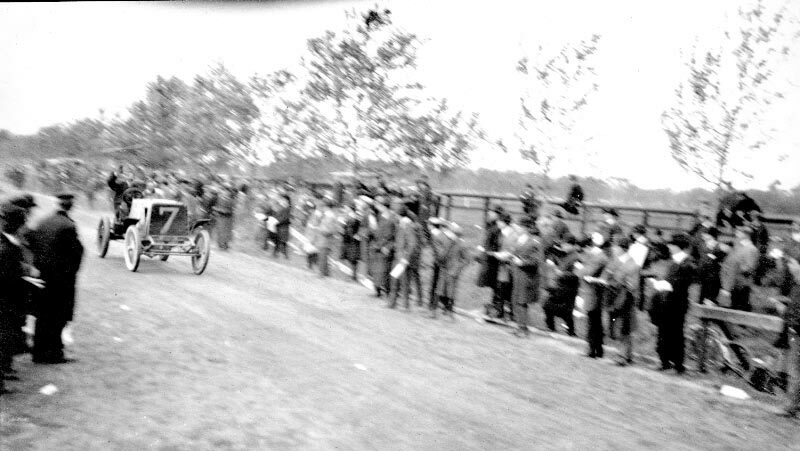 Heath went on to win the first international road race held in the United States. 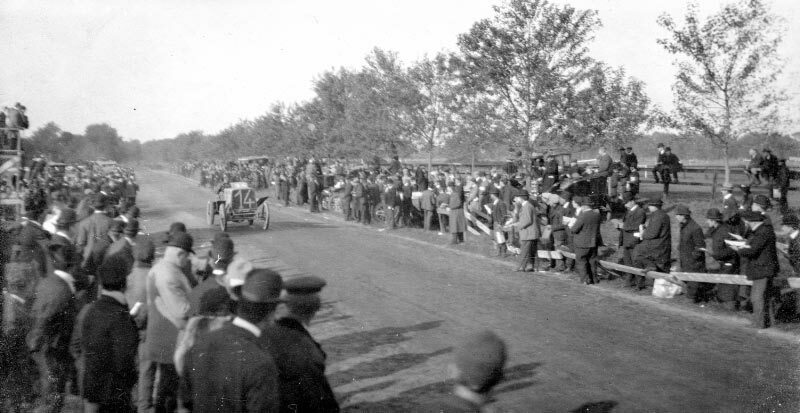 This photo may be the only known documentation of the #10 Fiat driven by Paul Sartori and owned by Willie K's cousin Alfred Gwynne Vanderbilt at the start of race. 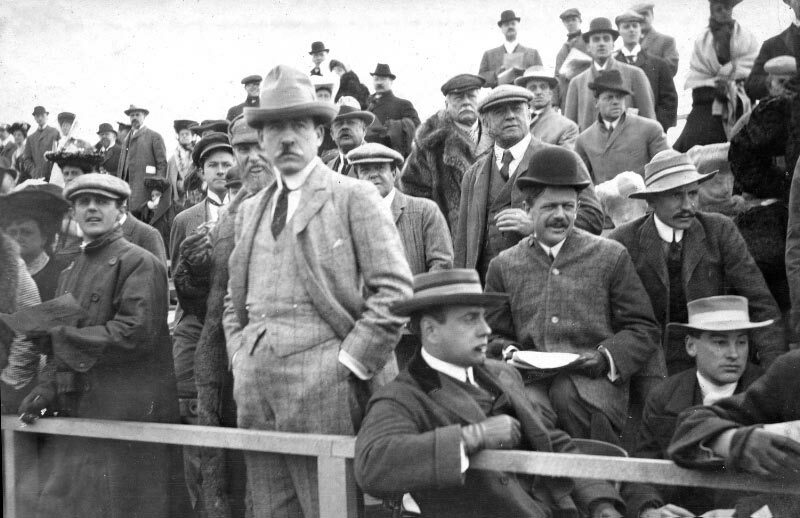 Every single person in this photo was wearing a hat, cap or derby. 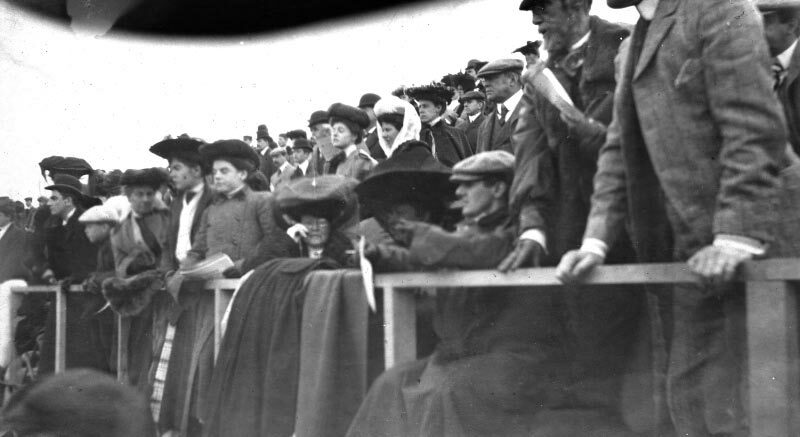 High society women and men made up a good portion of the spectators seated in the 1904 grandstand. 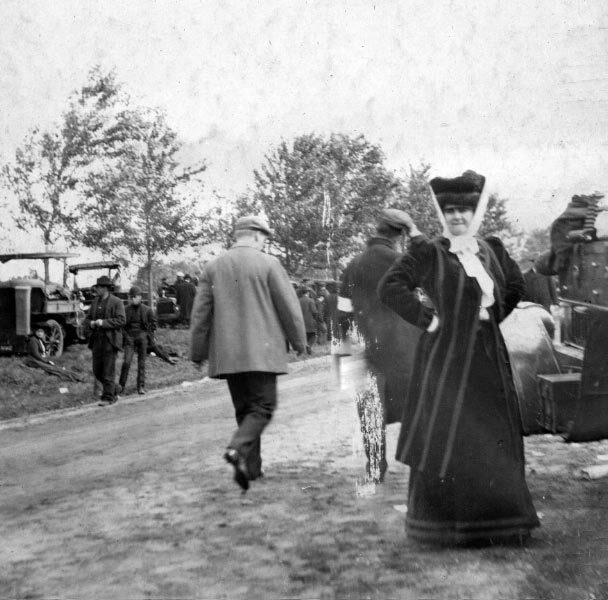 The bearded gentleman (second from the right) was C. Gray Dinsmore, owner of the #9 Mercedes. 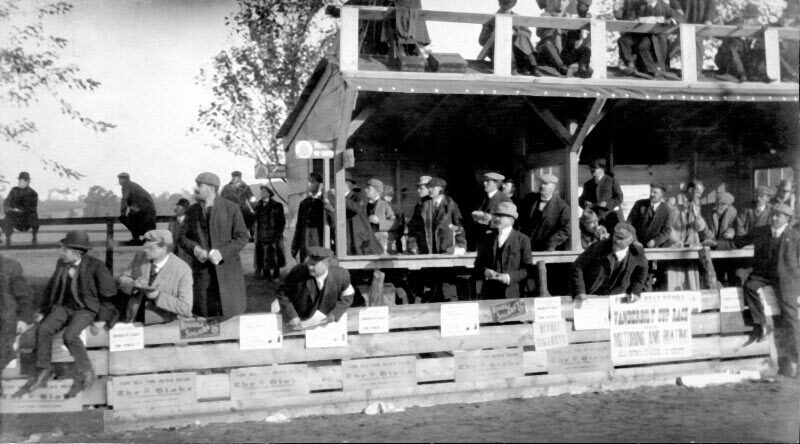 William K. Vanderbilt Jr. (center), the referee, and Peter Prunty, the Vanderbilt Cup Race PA system. 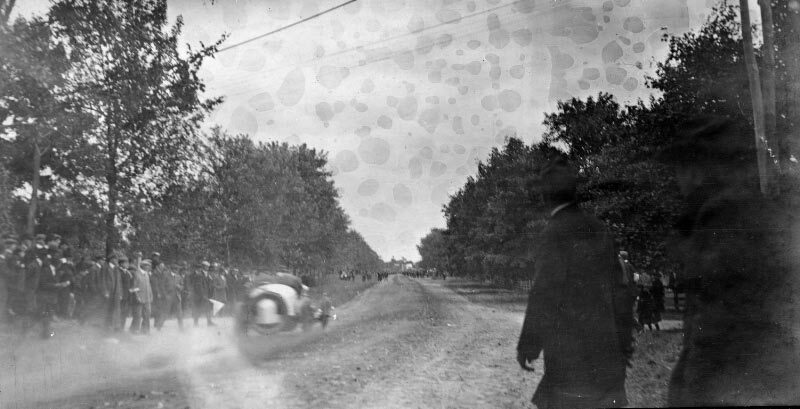 Thanks for those excellent photos of the race. Wow! What a treat!